Join us for an adoption event at Pet Valu in Warren, 177 Washington Valley Road. Saturday, March 30th from 11 AM to 4 PM! Our dogs will be waiting to greet you. Be sure to apply for adoption online before you arrive. Join us for an adoption event at our headquarters, 465 Springfield Avenue in Berkeley Heights, Saturday, April 6th from 11 AM to 4 PM! Our dogs will be waiting to greet you. Join us for an adoption event at our headquarters, 465 Springfield Avenue in Berkeley Heights, Saturday, April 13th from 11 AM to 4 PM! Our dogs will be waiting to greet you. Join us for an adoption event at PetSmart in Millburn! 187 Millburn Ave. Saturday, April 20th from 11 AM to 4 PM! Our dogs will be waiting to greet you! Join us for an adoption event at Pet Valu in Warren, 177 Washington Valley Road. Saturday, April 27th from 11 AM to 4 PM! Our dogs will be waiting to greet you. Join Home for Good at ALEX AND ANI in Bridgewater Commons Mall on Sunday April 28th. Come celebrate Mother’s Day and give back to a cause close your heart. Light refreshments will be served. 15% of all Sales will be donated to Home for Good Dog Rescue in Berkeley Heights. Doing GOOD looks GREAT on you! Join us as we celebrate Cinco de Mayo at The Grand Summit Hotel on May 5, 2019. Enjoy an afternoon of festive food, signature drinks, and exclusive auction prizes. Every ticket purchased will benefit our mission to expand our ability to provide medical care in a safe and comfortable state-of-the-art facility in Aiken, South Carolina. 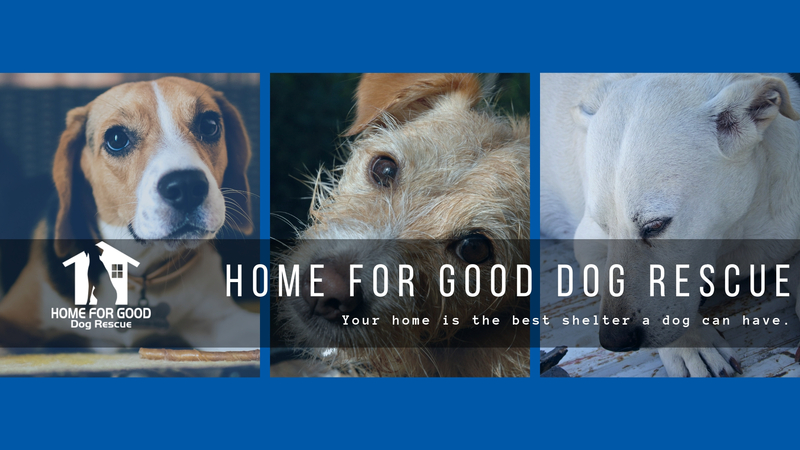 The Almost Home Wellness Center will benefit our furry friends, most of whom have been found in high-kill shelters in South Carolina and Georgia where many owners unfortunately do not understand the importance of proper and necessary care for animals. Please join us at this extremely popular brunch and support our efforts to save even more dogs than ever before. The fourth annual Bow Wow Brunch will be hosted by Michelle Charlesworth of ABC Eyewitness news. Please purchase your ticket today! Thank you to our sponsors for making this event possible.